Seibo Boys Town was founded on 1987 at Athoor Village near Sempatti, Dindigul District. Budgeted for 70 boys. Total Number of Students residing here are 51.
discuss with teachers about the education status of our children. 2) Yearly once one set of new Uniform will be stitched and given to our boys during the month of July in addition to the free uniform given from the school. 3) Four of our Boys are Studying English medium at S.V.M.School and residing in school hostel. The school correspondent as well as our Management Commitee Member Mr. M.S.Prabakaran is sponsoring these Four boys. 4) Every year we supply free notebooks for the boys during the month of June. Every year student will elect their own ministers and setup a Parliament. They will conduct parliament meetings regularly once in every month and have discussions about their studies, activities, habits, farms, Bird watching, health, sports and so on. The Speaker will organize the Parliamentary Meetings on fourth Sunday(Evening) of Every month. Suggestions and problems discussed in the meetings and solutions will be arrived. 3) There will be Annual Medical Check for all boys during the month of July. If any major health problem then there will be regular follow up. 4)De-warming tablets given for all the boys once in a six month. 5) First Aid Box is kept there for any minor illness. Every month during second weekend a group of boys will be taken for a short Picnic and in yearly once all of them will be taken for a long picnic. 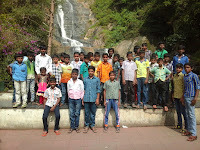 Our Boys went to Kodaikanal,Rock Fort Hills, Vaigaidam, Perumparai Environmental Centre, Madurai Meenakshi Amman Temple, Thirumalai Nayaker Mahal, Gandhi Museum, Air Port - Pollachi, Azliyar dam, Thirumurthy falls, Palani. 1)Tuition Teacher visits daily in the evening and giving tuitions to our children. 2)Computer training given to all the students by the Computer Instructor on Saturdays. 3)Craft Instructor visiting once a week and giving coaching to do craft items in the unit. 4)P.E.T visiting the unit at the week ends and games and sports training to our boys. · During the month of April 2016, 44 boys attended their Annual Exams and achieved 100% result. · Warden visited the Schools and admitted the new and transferred incoming boys in R.C.Middle School and in Govt.Hr.Sec.School, Athoor. 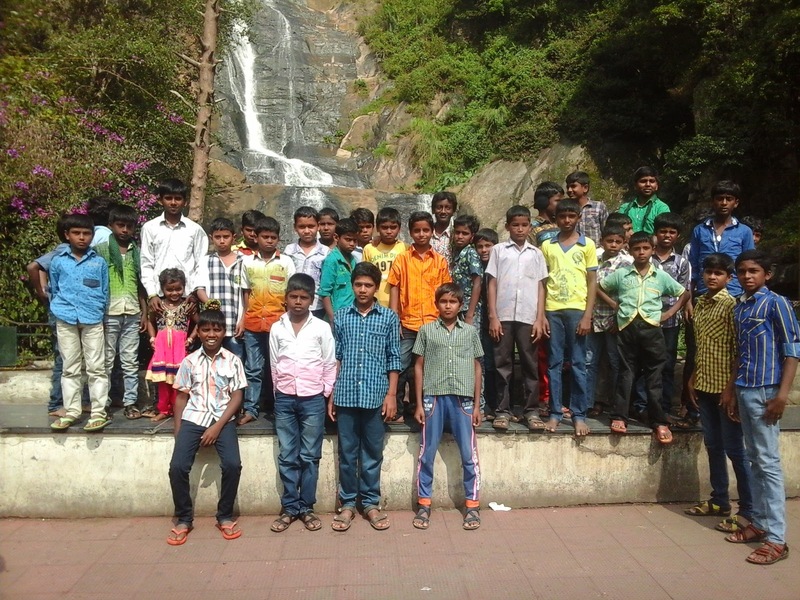 · 6 Boys wrote 10th standard Annual Exams and 6 boys passed through. Three boys scored more than 400 Marks – C.Periyasamy – 446, K.Pradeepkumar – 461 and L.Vigneshwaran - 408. · Our Boys P.Raja and P.Vivek studying at Govt.Hr.Sec.School participated in the District School level Tournament conducted at S.S.M.College, Dindigul. P.Raja came First and P.Vivek came second in Tennicoit. · Our Boys participated in the Cultural, Oration and Essay competition conducted by Govt.Higher Sec.School, Athoor. V.K.Ajithkumar received First prize in Essay competition and received cash award of Rs.150/-. C.Ramakrishnan received First Prize in Oration competition and received cash award of Rs.150/-. · Our boys studying at Govt.Higher Sec.School, Athoor participated in the Kabadi, Volley Ball and Athletic Competition conducted by Local Punchyat Union, Athoor between local boys and our boys studying at Govt.Higher Sec. School. Our Boys won in all the competitions and received Foot Ball, Volley Ball and Volley Ball net has prizes. They have also received Participant Certificates.